Ready for a sneak peek into the mind of one of Indonesia’s top chefs? We were lucky enough to score a chat with Iron Chef Sezai Zorlu, who moved to Indonesia from the beautifully picturesque small town of Iskenderun (in the South East of Turkey), and who has quickly became one of Indonesia’s finest. 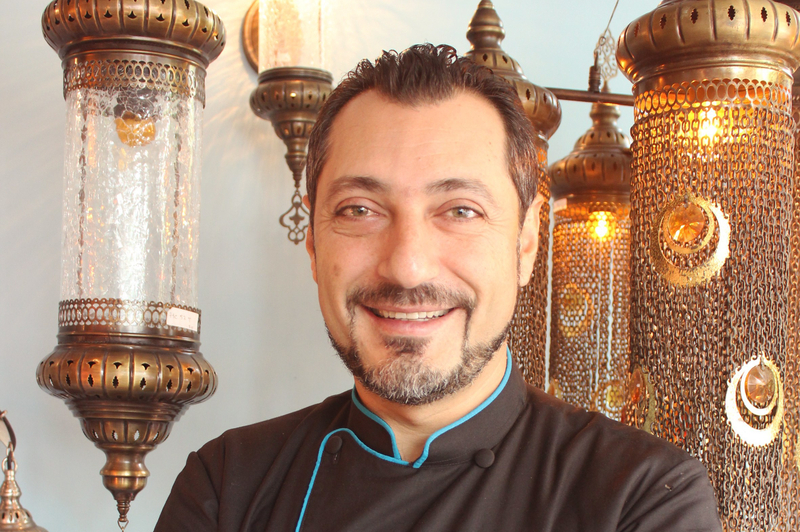 If you’ve visited either one of his incredible restaurants (Turkuaz or Warung Turki), you’d understand exactly why – he serves up homely, authentic Turkish cuisine that comes from the heart. Honestly, is there anything better than that? RL: Who or what is your inspiration for doing what you do? SZ: Definitely my mother and my grandmother. They cooked for my family all their life with so much love, and the food was always so good. They contributed so much to the happiness of the family and that motivates me to push myself to do better each and every time. RL: Aw, that’s so sweet. They sound like incredible women! So, since your dad’s a chef, who’s a better cook: mum or dad, and why? SZ: My mum! She’s a self-taught home cook and my father is a chef, but home cooking is always the best. It tastes better and feels better, because it’s prepared with such incredible love and care because it’s for your family. RL: If you could live your life all over again, would you do anything differently? SZ: Not at all. I would do everything exactly the same, just bigger – including the mistakes and successes. RL: What is the one thing you could eat forever and not get sick of? SZ: Donner kebab, because it is my identity, my city, my national dish. RL: Donner kebab is DELISH, it’s really comfort food at its finest! What would you say is your favourite childhood snack? SZ: Dried figs. My mum would buy 20-30kg bags of dried figs during the wintertime, put them on top of the kitchen cabinet, and give each of us 3-4 pieces every night. It’s my favourite thing: sitting around the heater, watching a fun programme on TV, talking with family, snacking on our dried figs. It’s a memory that’s filled with love. RL: That’s such a nice memory! And figs are so darn tasty. Totally craving one now… What’s the one food item you cannot stand eating? SZ: Exotic animals like sharks fin. I’m not interested in exotic animals – I’ll never touch them. RL: How would you describe your Iron Chef experience in less than 5 words? SZ: Fantastic, I love it, fantastic!